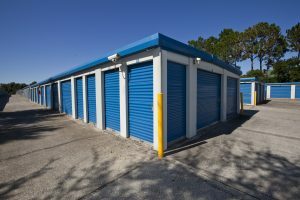 Self Storage in The Villages on Rolling Acres Rd, FL 32159 | Self Storage Services Inc.
Our storage facility is located on the east side of Rolling Acres Road, about a mile north of Lady Lake Golf Driving Range. We’re just off Highway 441 and offer a variety of useful amenities to The Villages neighborhoods, such as Lady Lake, Fruitland Park, Leesburg, Weirsdale, and Summerfield! The Villages, Florida is home to a picturesque way of life for all ages, offering a wide range of outdoor recreation such as golf, tennis, and boating activities. While it may be easy to store items that are smaller than a boat, marinas are often expensive and rarely located close to home. But there is a convenient, affordable alternative: vehicle storage at Fort Knox Self Storage – Rolling Acres! You want your boat to be a source of fun rather than a chore, which is why we offer a variety of useful amenities you’re sure to love. With that said, our storage units are perfect for college students and business owners as well! As a business owner, you can store your entire inventory, leaving your office space and warehouses free of clutter. As a student, you can take all of your Lake–Sumter State College’s stuff and stash it away here in a convenient way. Whether you’re looking for temperature-controlled options, drive-up access or help deciding what you need, our staff is here to answer any questions you may have – se habla Español!